Peachland, BC | Gallery | Tamlin Custom Builder Ltd. 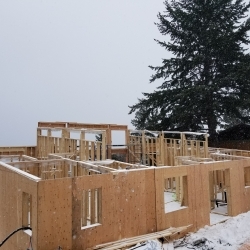 This home is currently being built by Tamlin in beautiful Peachland, BC. Our Discovery Ridge design fit this property harmoniously – the large floor to ceiling windows allows for the breathtaking lake and mountainous Peachland view to be enjoyed no matter where in the home you are. Keep checking back as we are constantly updating our gallery with new photos as the house is being finished. Contact us for a quote on your dream home.